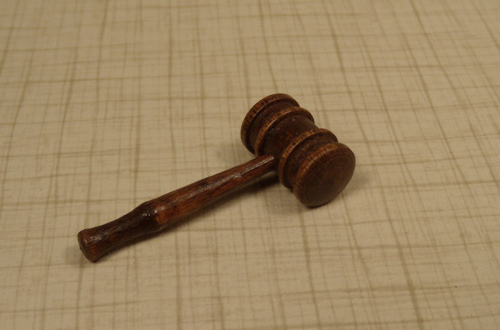 Nicely made wood gavel with good detailing. 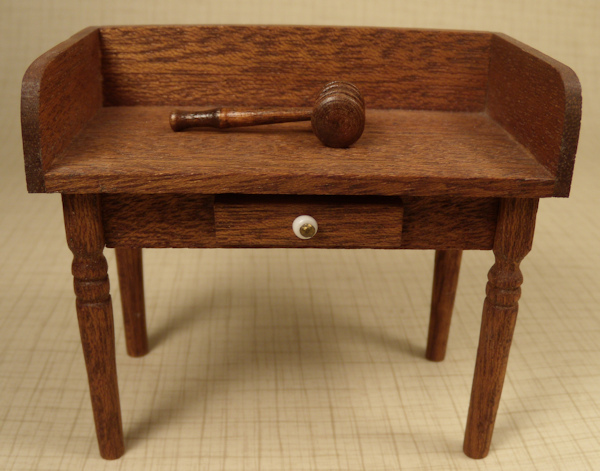 1 3/8" long and pictured on a 1" scale desk (desk sold separately). Artist made sometime around the 1960's. Great, unusual accessory for the dollhouse. Very nice condition. I am interested in purchasing Wooden Gavel.